This recipe appeared on my Samsung smartphone as I was perusing the Flipboard App's daily headlines. It's by Amy Valpone at Glamour.com. I doubled it because I never cook for 2 and made a few slight changes of course to suit my preferences. The Jumbo Corn Taco Shells were just the right size to give you a large amount of filling and still have a little room for the optional toppings. 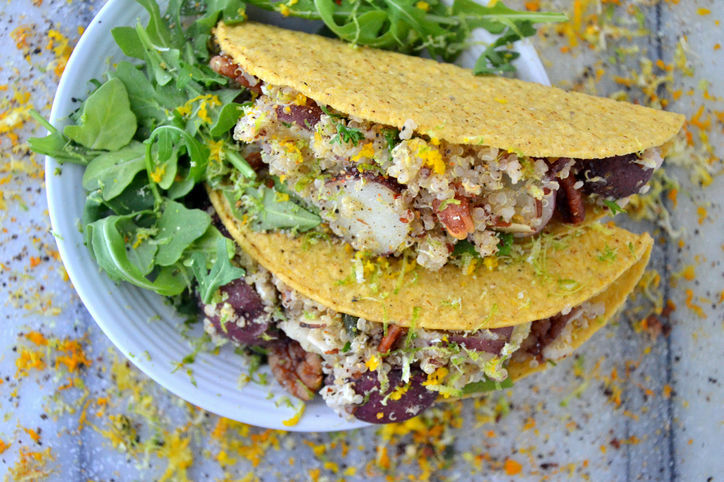 When trying this recipe, put aside what you mentally think a taco is. 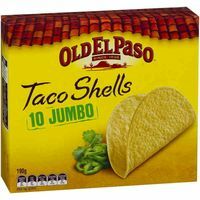 The filling is mild and interesting in flavour but it has nothing to do with a traditional taco. I was surprised to see even my pickiest adult eater finish his with no complaints - although I am sure it wasn't his favourite. My daughter on the other hand loved them. There are a couple of ways to go, but I liked the element of the really crisp oven-baked hot corn taco shell as a counterpoint to the soft filling and it means the recipe is gluten-free. You could also substitute a flour tortilla if you prefer for a soft taco if gluten-free is not a concern. Leave off the cheese and yogurt optional toppings and it is also dairy free. 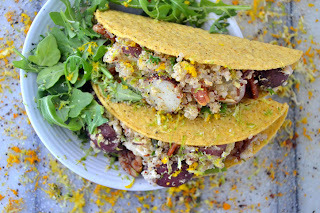 Using the gluten and dairy-free option creates a taco that is very mild, so a flavourful salsa - spicy or mild - becomes important to add that bit of zing. After trying this once, I felt the addition of a fresh salsa created from tomatos and peaches would be a great match for the orange rind and juice in the filling, so put a basic recipe at the bottom. 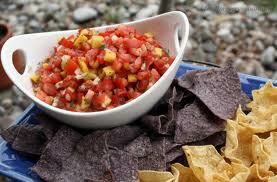 Another possible choice would be tomato mango. 2. Meanwhile, using a fork, pierce 15 holes in the potato and place into the microwave for 10 minutes or until tender and fully cooked. Remove from microwave, set aside to cool for 2 minutes, then cut into 1/4-inch pieces. 3. In a large bowl, combine hot, cooked quinoa, orange juice, potato, arugula, walnuts, parsley, orange zest, sea salt, and pepper; gently toss to combine; set aside. 4. Bake taco shells in over according to package directions. Remove oven and stuff with the quinoa mixture. 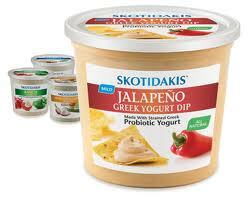 Serve warm with optional toppings of salsa, hot sauce, cheese and yogurt. I saw a lot of fancy recipes on the internet from fresh to canned, but really want to keep this simple, so just winged the recipe below. It's as basic as it gets which will allow you to easily change it to suit your personal taste. Feel free to search for something more complicated if you like. Canned peaches MIGHT work if you are making these off season, but definitely not the best choice for flavour or texture. Gently combine all ingredients, cover and refrigerate for 1 hour to combine all flavours.